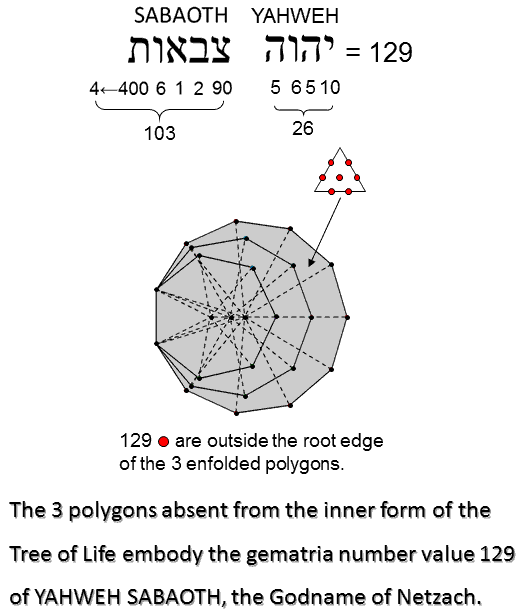 According to Table 2, the 3 enfolded Type A polygons have 131 hexagonal yods, where 131 is the number value of Samael, the Archangel of Geburah. Two hexagonal yods lie on the root edge. Outside it are (131−2=129) hexagonal yods. 129 is the number value of YAHWEH SABAOTH, the Godname of Netzach.